Space Wolf Juspion Blu-Ray Set Announced! I doubt it to be honest. From what people told me over the years that have work in the industry like August Ragone that Kamen Rider is very expensive. People like August have told me that Toei considers Kamen Rider to be their top tier franchise next to Dragon Ball, One Piece and Sailor Moon. They want people to pay for Kamen Rider for the same amount of money as those franchises and the series is too niche in the West to risk that much. A series like Metal Heroes is probably way cheaper to license and it would be a good way to test the water for other Henshin Heroes. If someone like Discotek or Kraken Releasing does release something Kamen Rider related, I guess movies like Shin-J would be possible seeing how movies are cheaper to license than a 50+ TV series. Would it be easier to release/adapt Riders if one was just using the Movies and Team-Up Specials, going all the way back to the OG Kamen Rider and the Expanded-To-Big-Screen-Episodes which were called "Movies" back in the day? Juspion wasn't used for VR Troopers, though. That show was a combination of Metalder, Spielban, and some Shaidar footage when they ran out of Metalder. To be fair, Juspion and Spielban look a lot alike, but Juspion was never used for an American tokusatsu adaptation. It's more likely that Juspion is getting a release because, like Kamen Rider Black, it has a big fanbase outside of Japan. The show aired in several other countries back in the 80s and did really well, especially in Brazil. Likely this. Much of my info on this is years old and mixed accounts. The Brazil market is likely why then. And the visual similarity to Spielban. Always get those two confused. Don't think KR Black played a factor though. May have. Though I know the various greenlights to do this went through a couple different checks and plans. My info is only from a handful and not all. Kamen Rider on the other hand has other plans, and is currently locked up with Amazon as part of the Amazons deal. But Toei is looking into ways to bring it to the west and other markets. KR has a heavier auth system compared to sentai. Even stricter really. Shin and ZO are possibles though. Especially if IFC or other avenues want do a focus on science fiction from abroad. Message from space may end up on IFC. Especially if they want to focus on Ishinomori for some scifi Japan focuses. KR The First is also up on that list of possibles, depending on timing. And depending on the rights issue, the Hakaider movie too. Maybe the Ultraman Next movie as well. Since those are already stateside, they may get looked into for airing on IFC. And there's been talk at one time about the Iria/Zeram movies too. Same with Casshern's live action(sadly the edited version, though they really need to release an uncut version). But those would be more isolated airings with a brief run on digital/on demand whereas Message would be a regular series airing in a moderately late night regular slot. IFC had been experimenting with wider culture horror movies, but they may or may not be looking into expanding that to include more science fiction too. Theirs a scifi movie from Spain that's high on the list too. Last edited by Librarian; 08-14-2018 at 12:53 PM..
And the visual similarity to Spielban. Always get those two confused. I find the best way to differentiate between Juspion and Spielban is by suit details and what they wear outside of battle. 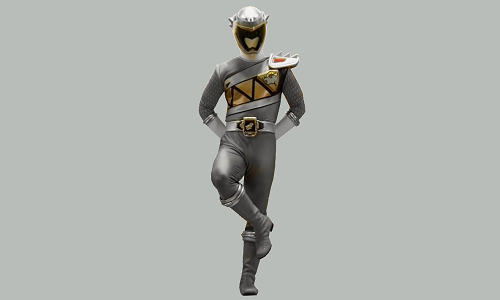 If the dude had an afro at one point and dons a sleek silver suit with red trims during combat, Juspion. If dude wears a funky red jacket outside of battle and when in battle dons a chrome and black suit, Spielban. Last edited by Sunred; 08-14-2018 at 05:46 PM..
You guys learn more about classic tokus.